There once was a time when creating a video was a huge production. The process of editing videos, adding graphics, and getting your “lines” right, typically meant several days work. Since many salespeople already work long hours and are camera shy, they lack the time and motivation to make videos. Digital marketing and customer expectations have altered the content creation of videos and their delivery. Most viewers prefer LIVE videos, not only to be a part of the conversation but to also see the unedited version of their salesperson. They want videos that do not jump cut to another clip; instead, they are looking for videos that a more straight forward, transparent, and authentic. In fact, 82% of viewers prefer live video to social media posts, and 80% prefer live video to reading a blog post. Video creation is a trend that continues to grow, and dealerships are encouraged to implement them into their marketing strategies. Some have taken their marketing efforts to the next level by incorporating videos, and in doing so, have seen their returns grow, exponentially. Others may still be camera shy or lack the time, but both scenarios provide the same result, of massive opportunities, are being missed. Those who are still sitting on the fence and are unsure why video creation is important to their customers and dealership profits are often unfamiliar with the power of video marketing. Here are five key benefits of video marketing for car dealerships to get you and your sales team motivated about video creation. Watching a short live video is less time consuming and more engaging than other types of content, making videos easier for the customer to digest. In 2018, 54% of people stated they want to see more video content from marketers. People prefer watching videos, and it is an excellent method to share your brand’s story, dealership, customer service, vehicle inventory. As videos can be both entertaining and informative, people like to gobble them up in five minutes or less. In January 2019, ComScore reported that the duration of the average online content video was 4.4 minutes. Since videos feel more like a light snack than a heavy content meal, they are more likely to come back to watch your videos in the future. There is no debating the fact that car buyers love videos and use them as tools when shopping for a new or used vehicle. Over 75% of auto shoppers say that online video has influenced their shopping habits or purchases. According to AdColony, 70% of consumers would consider watching and/or interacting with a video on a mobile device to explore models and features. People want to see you make videos so they can use them as automotive shopping tools. As the statistics show, many are already using this technique, but if you are not making videos, then they are using ones made by the competition as their tools to shop for a car. You must prevent this from continuing to happen. Stand out and get ahead of your competitors by creating unique videos that customers can actually use. As a salesperson, it is essential to know that 80 percent of the car buying process is digital. It often starts with a Google search on a mobile device and ends with the customer on your website filling out a form or calling the dealership. For the buyer’s journey to end with you, your content needs to appear in search engine results so that they can begin with you. This requires your video content to be unique, mobile-friendly, SEO-friendly, and what consumers want to watch. Reviews: 46% watched reviews, whether expert reviews or UGC reviews. Comparison videos: 25% watched videos comparing 2 or more vehicles. Feature overviews: 22% of videos watched highlighted a particular feature. 61% of new and used vehicle shoppers contact the dealership by calling after a search. Make your content marketing efforts count even more by adding videos into the mix and experience the difference. If you think about how much money it costs to create and post a YouTube video or to have a Facebook LIVE, you will come up with the amount being, $0.00. When you think about average cost for an automotive lead to be $205 (Paid Advertisements), it is not hard to see why creating videos is the smart choice. If you were to dive even more in-depth on this subject, think about how fast the cost quickly adds up. For your dealership to gain five new leads, it would need to spend approximately $1025. In 2019, 87% of businesses are using video as a marketing tool, and 83% of marketers now say that video gives them a good ROI. Stop wasting your dealership’s marketing dollars and start developing a cost effective video marketing strategy. As a salesperson, you need to ensure all of your interactions connects with the customer on some level. If you cannot connect, you will not land a sale. A study by Baylor University’s Keller Center for Research reported that the success rate of cold calls to appointments is only 0.3%. To put this into perspective, you would need to make more than 1,600 calls to generate five appointments. Customers will only come to you if they can find you AND you can give them what they need. To them, this is proper customer service. When people like what they see, they tend to share it with friends and family members. More than 80% of consumers purchase a product based on recommendations from someone they know, according to Nielsen. Furthermore, 92% of mobile video consumers share videos with others. Videos can be educational, informative, entertaining, and engaging. The options you have with video creation are endless. 96% of people say they’ve watched an explainer video to learn more about a product or service. Give your online audience content they really want, and at the moment, videos are their favorite. Your dealership and sales will see a change, as more people flock to the content you create. Grow your online presence, save your dealership money, connect with leads and prospects to convert them into buyers by using video marketing with your online strategies. The results you desire will come with each video you make than with none at all. Give your online audience content they really want and at the moment, videos are their favorite. Your dealership and sales will see a difference with the introduction of videos, as more people will flock to the content you create. Show your personality and engage with your customers on a more human level through videos. They can begin building trust and loyaty towards you and your dealership as they become a part of your daily life, and with each video you post, you are inviting them to be a part of something. 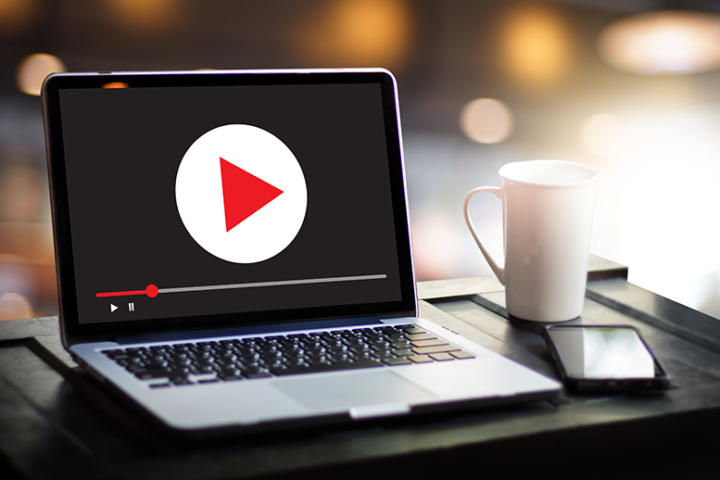 You can grow your online presence, build your brand, save your dealership money, connect with leads and prospects, as video marketing can do all of it and more. And all it typically takes is five minutes each day. If you are looking for opportunities to convert prospects into car buyers start adding video creation into your current online strategies, and as they watch your videos, you will be watching an increase in sales.